Her daughter made it clear the former public protector doesn’t want to fix the past few years’ injustices. She wants to ‘bring back the 1980s’. Professor Thuli Madonsela, who many regard as a bastion of fairness and justice, is not ready, available or willing to take on the “poisoned chalice” of the national director of public prosecutions (NDPP). This was confirmed to The Citizen yesterday by her daughter, Wenzile Madonsela. Speculation over who the next NDPP would be has been mounting, with many calling for their favourite former public protector to take up the yoke. “She is one of those people who feels you must do what you believe God has called you to do,” Wenzile said. “Thuli believes in not trying to fight for space when the space has never been yours. She’s always felt she has been called to justice, social justice particularly. “She’s more than willing to work with the ANC on policies, more than willing to work with the provincial legislature on legislation, more than willing to work with universities, but she doesn’t want a specific job that will hinder her from being able to do much more, or a wider variety of things,” added Wenzile. 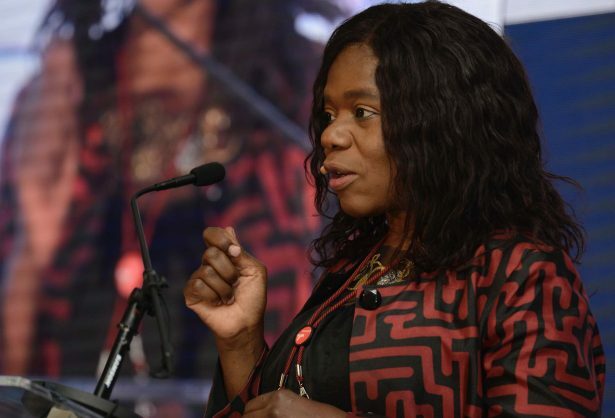 As chair of social justice at the Stellenbosch University, Wenzile said Madonsela was able to create an entire facility that allowed her “to be a maverick”. “She told me after she left as public protector that she wanted to bring back the ’80s. The ’80s was a time when movements started, things happened. Wenzile said her mother was being rejuvenated by youth. “Any movement or revolution, the youth have always been the ones to drive the country to something better, even if it ended up in war. Wenzile said Thuli was trying to hand over the baton to the next generation. (b) be a fit and proper person, with due regard to his or her experience, conscientiousness and integrity, to be entrusted with the responsibilities of the office concerned. Appointment: The president must, in accordance with section 179 of the constitution, appoint the national director.